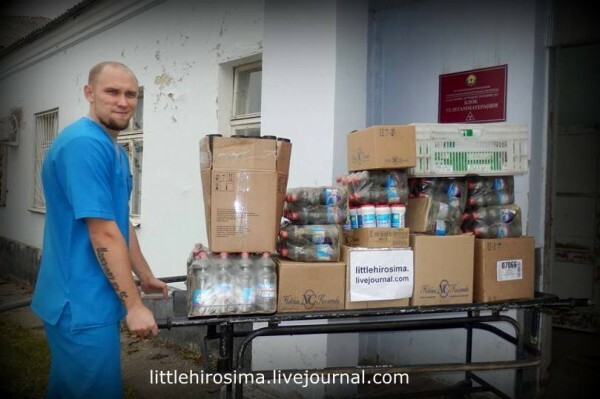 About four years ago I wrote in LiveJournal about collecting money to help the Donbass. I really didn’t want to do that–as soon as money is involved, people start talking about thieving. Over these four years, nearly every post from a vacation or following a purchase something, I read about how I steal from Donbass children. Incidentally, these accusations are posted by the same people who wish on these children. That’s how mixed up some people are. Sometimes it was downright comical–I was accused of stealing in order to live in South Africa, where I did live long before the Maidan. I never answered these emanations in the comments, although, to be honest, it was very unpleasant to read them. Don’t write “forget about it”–know what that is. But one still cannot avoid unpleasant feelings. I feel it is unnecessary to explain to people that I have a husband who has a decent salary and also supports the Donbass, it seems like making excuses. And explaining that I lose money due to my aid activities is pointless. I was more than once offered jobs which I had to turn down because I would not be able to continue this effort. So they’ve stopped. I can’t even go teach full time at a good university. I’m only an hourly instructor. And I love teaching. My blog is visited every month by hundreds of thousands of people (not views, people). Hundreds of thousands! That’s nuts. And that’s for a blog on whose promotion I did not spend a single ruble and where I don’t even write every day. And, incidentally, the posts not about Donbass are far more popular than the posts about. Even considering that LiveJournal “is dying”, “is no longer the same”, I still have advertisers. I wrote about this many times, but no, not a single advertiser wants to have anything to do with politics, which is understandable. Especially with politics of someone whose name is on Ukraine’s Mirotvorets web site. You can’t imagine what a load off our shoulders this is. All these months we were struggling with Zhigulis, which can’t take any cargo. We’d make three trips to one place, take out the seats, all the same, it was one constant struggle. 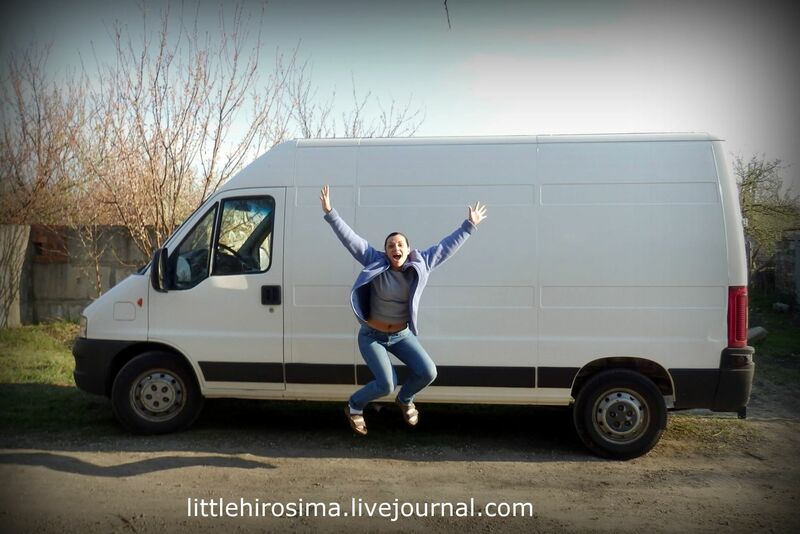 As you know, Zhenya’s Fiat Ducato suffered an engine breakdown before New Year. There was hope it could be fixed, but it turns out it’s less expensive to buy an engine–obviously a used one. A new one is out of the question. All this time we’ve been keeping an eye on engines in Russia, Ukraine, and Belarus. We’ve encountered a mass of problems. Naturally, it wasn’t me who was keeping an eye, but my friends who know what’s what. Thanks to everyone who wrote and offered solutions. We looked at every option. Zhenya hung out on forums for days. Trust me, he understands these matters. But all the options are limited by the fact it’s impossible to bring an engine to LPR is out of the question. As of late, one can detect contempt toward our emigrants emanating from among the patriotic community. “Traitors”, “don’t let the door hit you on the way out.” I don’t find it pleasant to read, and I want to not only defend our people abroad but say that many of them are bigger patriots than people who put “Thank you Grandfather for the Victory” stickers on their cars, but at the same time behave rudely and don’t let pedestrians cross the road. I’ve encountered that directly. I’m not talking about the rude individuals but Russian patriots in other countries. There are many of them among my readers. And! Many of them continually help the Donbass. The majority of funds for the aid effort is coming from them, the inhabitants of Canada, USA, Australia, Germany, England, Austria, Norway, etc. During these years, I’ve found lots of groups on facebook, LiveJournal, VK, where people cooperate, assemble truckloads of aid, and send it to the Donbass. One can hardly imagine what it takes–organizing logistics into the unrecognized republics from abroad! It’s extremely complex, I know what I’m talking aobut. They do it themselves, through foundations, through volunteers such as myself. And if you think they are former inhabitants of Lugansk and Donetsk regions, you are mistaken. Many of them are from families which have never visited these places. And I am once again happy to witness all this and to be able to help. Do you know who this beauty is? Let me just tell you one story. She’s of the Moscow volunteers who in 2015 was helping the people of Lugansk and decided to help one young girl who had cancer. She asked out people to bring her aid. In Lugansk Zhenya has a “bus”–that’s how vehicles like the gazelles are called on the Donbass. Fiat Ducata. This vehicle has served us well during the whole war, not breaking down even once. But recently it suffered one breakdown after another. We don’t know what to do. Every time we go, we bring some spare parts from Moscow. The vehicle is old and driving on the tortured LPR roads is killing it. Zhenka spends a lot of time on the road–you can see that for yourself from the reports. Our Ducata is a combat vehicle–it experienced shellings, particularly when taking your aid into Pervomaysk. Our most recent trip in December was particularly hellish. At some point the gearbox gave out, and the car kept stalling. We barely managed to get home from Stakhanov. And now the battery quit. I recently received a package from the United States. I was not expecting one, and was puzzled when I found the claim slip in my mailbox. At the post office, I was handed a hefty package from, as it turned out, one of my English-language readers. He’s had my address, because he’s been sending stuff earmarked for the Donbass for a long time. 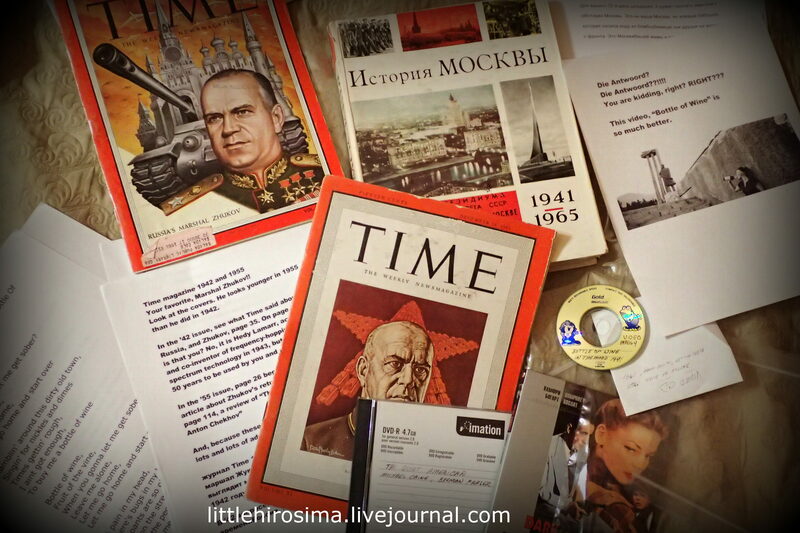 The package contained books, journals, and letters translated from English to Russian using Google Translate. Chris, like I said, has been reading this blog using electronic translations, although there is an English-language site. However, the site only contains posts on the Donbass, while Chris reads the whole thing. We correspond in English, but he competently translates his letters into Russian. A few days earlier, he donated $100 for the little Nikita in Lugansk who needs a glucose meter. And a few weeks before that, Chris donated money to help Zhenya and Lena. For your 22nd birthday, I decided to send you a book about the history of Moscow. It’s not your Moscow, but the Moscow of your grandmother, the one who hauled water out of a bomb shelter, and whose friends failed to return from the front. It’s the Moscow of your mom and dad. Perhaps this book will be useful to your daughter in a few years. A year ago, Tatzhit (a friend who reposts translations at Fort Russ) wrote me that he didn’t know what to get you for your birthday. That’s because he’s a Communist! I’m not, and therefore I can think of something good to get you. Unfortunately, I forgot about your Che Guevara t-shirt, well, perhaps another year. Lena’s hair reaches down to her legs, and few can withstand the gaze of her eyes. Zhenya is tall, so much so I barely reach his chest. He speaks with a low, deep bass voice. Lena–so that you realize what kind of a person she is–sat to the very end with an unfamiliar woman at the Lugansk Hospice. Who died practically in her arms. It was Katya, a young girl who was diagnosed with cancer too late for it to be treated. She was from an orphanage, had no relatives on the Donbass. Lena kept vigil at her bed at night. Because there was nobody else to help her. Dying Katya had one son, Vovka. 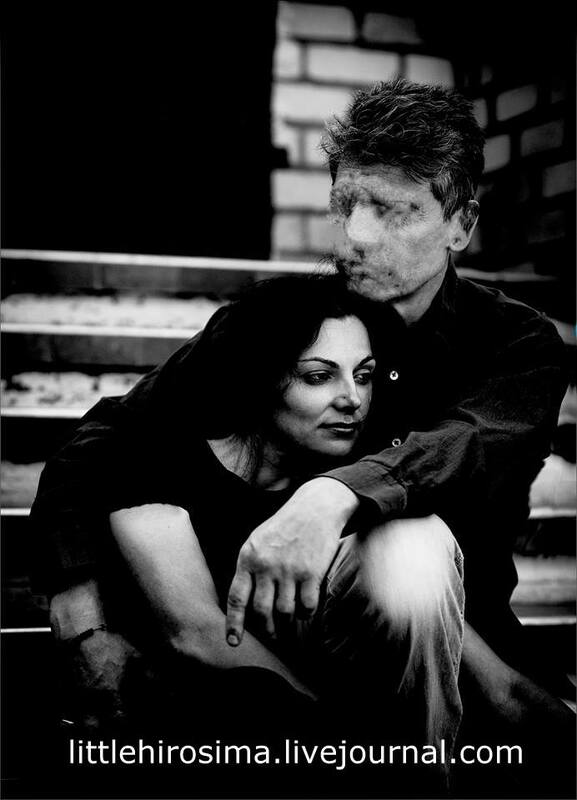 Her husband vanished somewhere in Ukraine, abandoning his family. The guys–Zhenya and Lena, took him in, even though they saw him only twice prior to that. It will soon be a year since Vovka joined the family. In the midst of war and uncertainty, the two of them adopted a 12-year-old. Now he’s one of our assistants, who brings me tea whenever I’m about to drop dead from fatigue. Zhenka and he struggle with homework until tears roll. Because while his mother was dying, he missed a year of school. Our Moscow Zhenya never did math exercises with him during the trips. At the time, we collected clothes for him and delivered a computer, it’s all described in one of the reports. Vovka is also a member of our tiny team. Zhenya previously wanted me not to write about it for various reasons. But it’s hard for me not to write about it. It’s been a year now, and I’ve seen it all. How they made their decision. And how difficult it was–after all, it’s not easy to take in someone else’s grown child. It’s a little detail that will give you an idea of what kind of people life brought me in contact with. 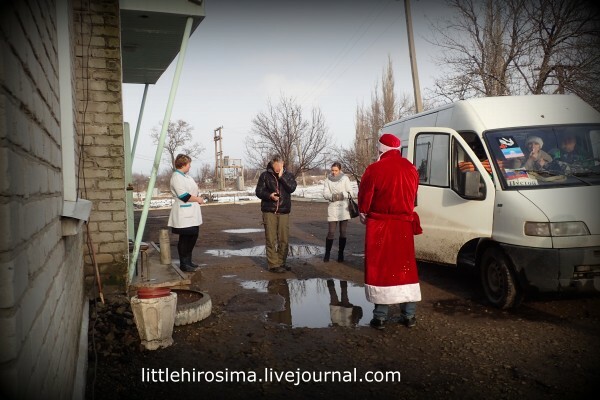 I also know about ordinary people’s lives in this unusual region where a war is raging. Everyone’s gotten used to it. The inhabitants are used to it, we’re used to it, I’m used to it. But everyday activities, for example, the operation of hospitals and hospices, suffer from problems whose existence we don’t even suspect. This is the Lugansk hospice attached to the cancer ward. That’s where our Ira is. These institutions have the lowest priority for aid. Medicaments are most important. The rest is an afterthought. But how is one supposed to wash, disinfect, do laundry? Nobody’s thinking about that. If they are, they lack the means. And yet this hospice where the ill come to die. Many of them can’t even take care of their basic needs anymore. The doctors and nurses need paper and pens to write on and with, but those are shortage items too. Lightbulbs do burn out, and switches break, like everywhere else. Our Lena was picked up by an ambulance with a terrible headache and vomiting. No painkillers would help. An MRI showed nothing out of the ordinary. Today Zhenya and Lena were admitted to the Lugansk hospital. Zhenya’s blood pressure has been fluctuating wildly. During the spring, Zhenya’s mom suffered a stroke, and nothing has been the same since. With all that, Zhenya’s blood pressure became a more serious problem…If you only knew what was going on during the summer. The stroke took place on the very day we were leaving Moscow for the Donbass in May. And during the summer, after we left…Zhenya’s mom spent a long time in intensive care. Paramedics show up at their home regularly. Zhenya never allowed me to write about his problems. Modesty (and stubbornness) kept him from asking for help. And he’s not giving me permission right now. But they have me–someone who’s both immodest and rude to boot.